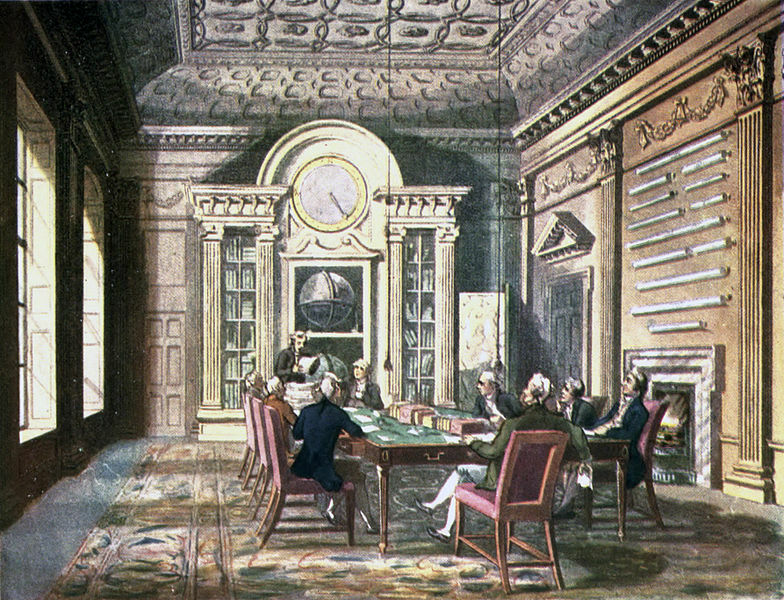 “Board Room of the Admirality” (1808). A few years ago I had a student post a fellow class member’s poem to Facebook. When I found out, I went to administration and we handled the issue according to university policy, but I felt a shockwave of distrust rumble through the class. Some members felt like they didn’t have a “safe space” in which to share their creative work. Others may not have even known what was going on, but I felt it in every workshop, reading discussion, and exercise. Under no circumstance should students share the work of their peers outside class. This includes but is not limited to electronic distribution through email, forums, and social media (Facebook, Tumblr, Twitter, etc. ); physical distribution through printing, photocopying, and hand copying; submission to and/or publication in journals, magazines, anthologies, or books; and appropriation of the work to fulfill requirements in this class or others. In all cases, I will drop your final grade by at least, but not limited to, two letter grades in addition to any repercussions mandated by the University.